June 30, 1984. 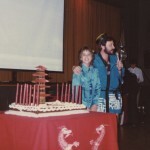 I became a Bat Mitzvah at Congregation Beth Abraham Hillel Moses (now called Beth Ahm). For those of you that are Michigan natives you may remember that the synagogue caught fire just a few months prior to that date. My bat mitzvah service was held upstairs in a makeshift chapel. I have pictures of my family outside of the synagogue, some even included pictures of the rubble. 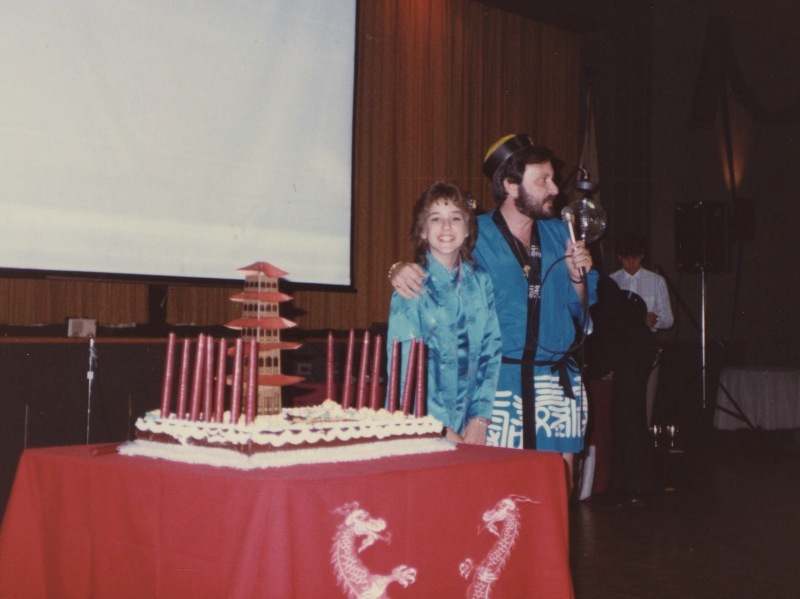 I was to become a bat mitzvah no matter the look or location of the bimah or the Torah I was to read from. The entire experience was amazing! I remember how I felt as if it were yesterday…. 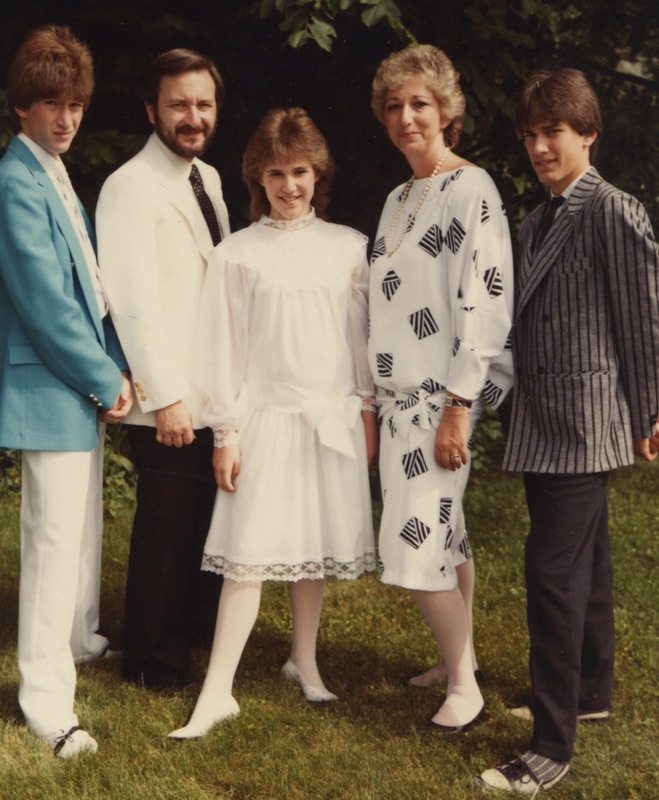 The pictures of me in a knee length white cotton and lace dress with feathered hair are hysterical. My mom’s perm. My brothers teal blue suit. My dad’s beard. I have pictures from the evening. Recalling the night now is making me so happy! One last thing took place that night…something that we had done the eve before the party for both of my brothers. 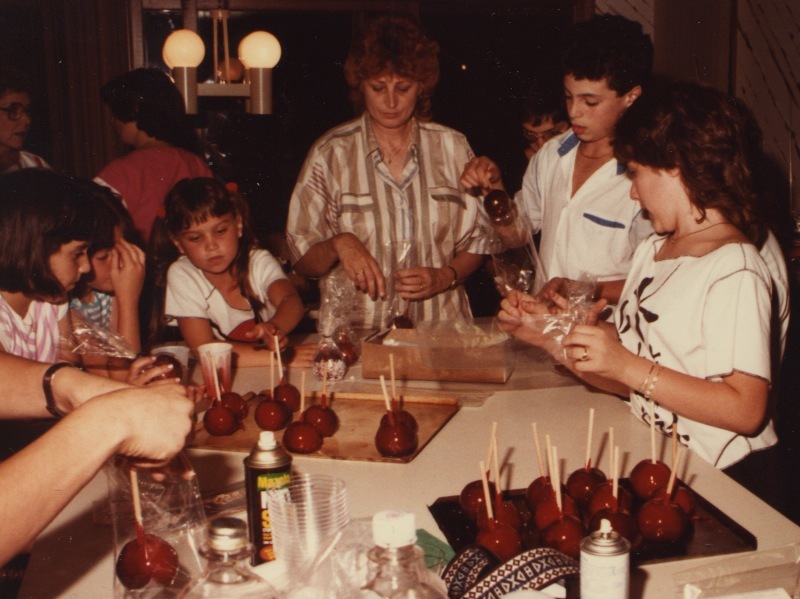 We made Candy Apples from scratch…everyone was involved. 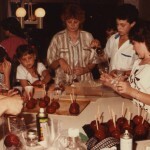 Poking the apples with sticks, dipping the apples in boiling red candy syrup. Rolling the apples in coconut (we left some plain). Placing them in clear plastic bags and twisting them shut. It was a group effort. A TRUE labor of love, and everyone was involved. Saturday morning was the service. My parents said I was beaming. I remember loving being up in front of the service, sitting with the clergy. I can still see the smiles on my parents faces. All of the Hebrew school and studying, I was able to lead the service and read from the torah. Amazing, right? The party was Saturday evening at Congregation B’nai Moshe, in Oak Park. My parents had used the kosher caterer, Sperber, for all of their events. This would be no exception. My theme was Oriental. Why? Because, I loved Chinese food, why not! 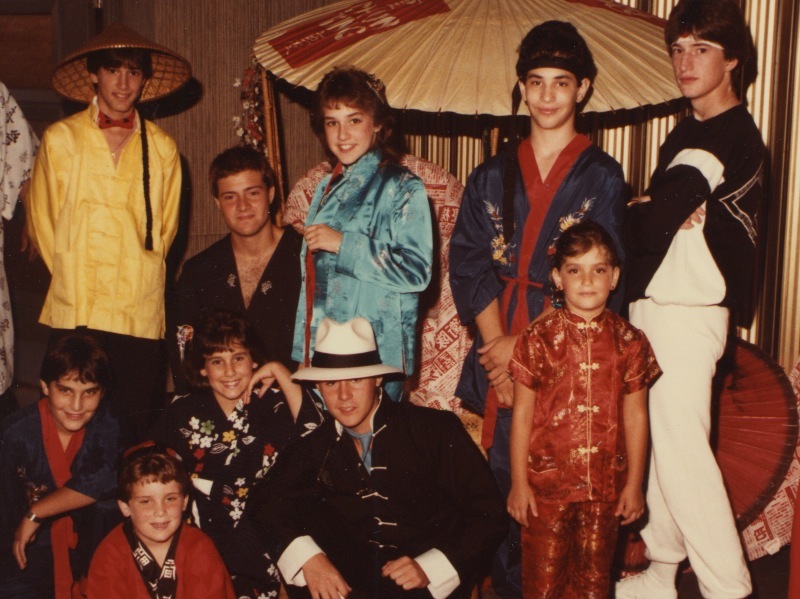 Every guest came dressed in their rendition of Oriental. 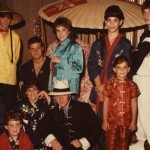 Kimono’s, robes, sumo loin cloths, black, white and red filled the room. The food was served in Chinese take-out containers. Hot tea at the tables for all the adults. A rickshaw was in the room for me and my friends to sit on and take pictures. My dad and I read the candle lighting ceremony together. There was a slide show (yep, actual slides) of each of the guests as we called them up to be honored. We danced (Emcee Robbie Goldstein from Joe Cornell, doing his first big party!). I was on the dance floor all night, as were all my friends. We ate popcorn and snow cones and RED CANDY APPLES. We laughed and smiled until midnight. Another AMAZING night! I remember writing thank you notes, and looking at pictures. So many pictures! I am grateful for all of the pictures. They are what keep my memory of the weekend alive. I look at them all the time. I have shared them with new friends and old. My kids have seen them. They are precious. An amazing gift! I smile looking at the pictures of those I shared the weekend with who are no longer with us. Full of life. Living in the moment. Lesson ONE from “Becca’s beat”. TAKE PICTURES! Lots of them. Hire a photographer to take pictures. Talk to them about what you want them to capture….the raw emotion of your loved ones. Celebrate good times with those you love as often as you can….and TAKE PICTURES!